We're almost done with baby week. Can I get a "what-what?" Husband loves it when I say that. 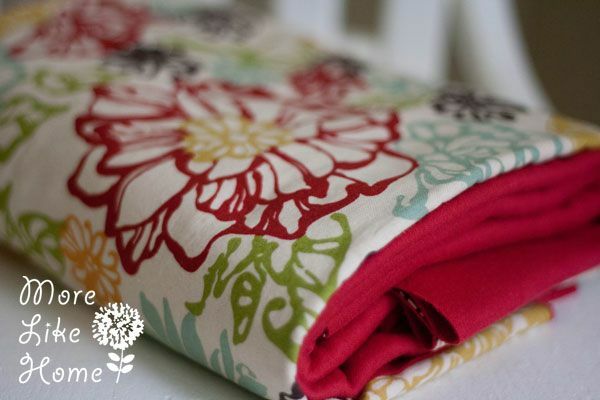 ;) Anyway, today we're going to be making a really easy stretchy baby wrap! 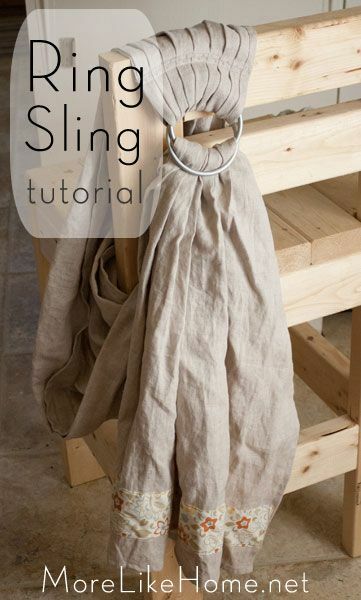 You guys know I like a good baby carrier (don't get me started on all the benefits for both mom and baby), and this one is the easiest to make and one of my very favorites for wearing a new squishy little baby. Look how cozy for a little guy! Let's start with a disclaimer... Babywearing is great when done safely! Any babywearing tutorials are used at your own risk. 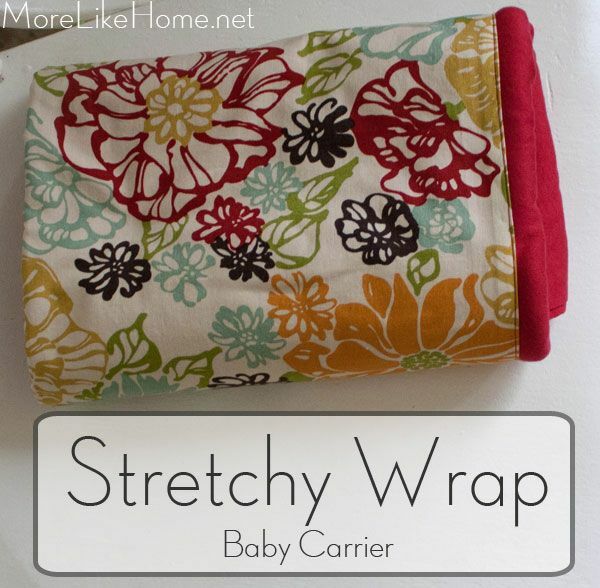 Stretchy wraps like these are great for new babies, but really only work until baby is 15 pounds or so. 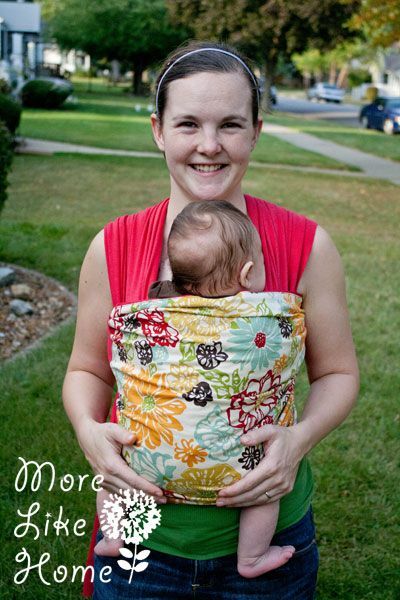 Never ever wear a baby on your back in a stretch wrap, and please be very careful when wrapping! Make sure babies face is visible, his chin is off his chest, and he should be close enough to kiss. 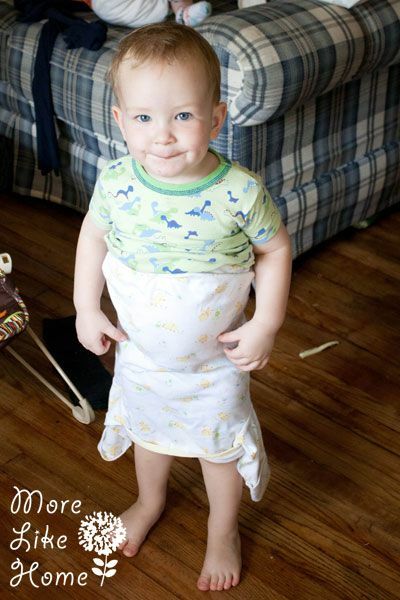 There's much more to learn about safe wrapping so definitely do you own research so you can wear your baby safely! 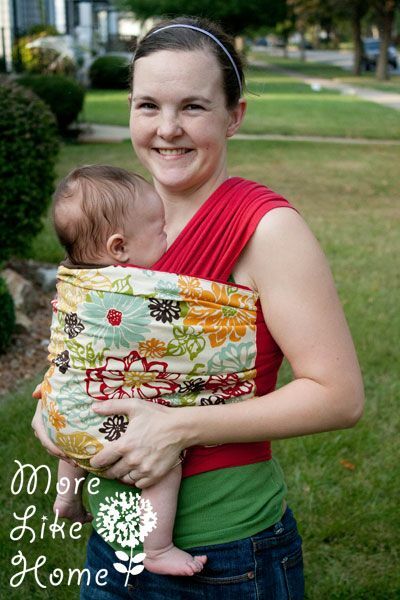 A stretchy wrap is similar to a moby or boba wrap so those would be some great places to find safety info. 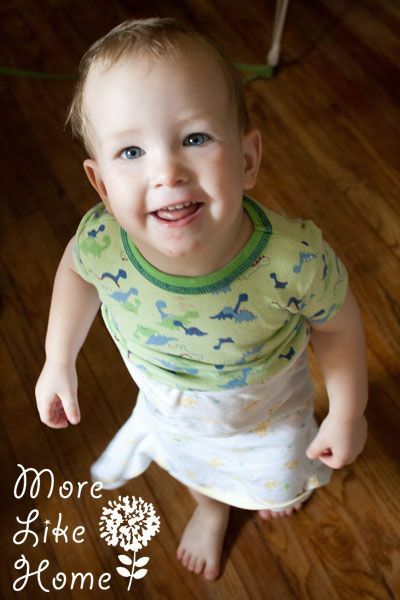 It may sound like a lot of work, but once you get the hang of it stretchy wraps are so easy to use and can really be a life saver - especially if you have older kids! Baby wraps keep my hands free when I need to help B go potty or get breakfast. 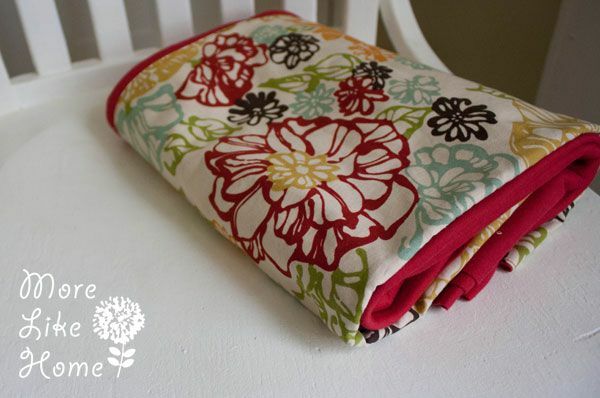 Start by pre-washing and drying all your fabric. Next trim the selvage off one of the long edges. That part just looks kind of ugly, so away it goes. 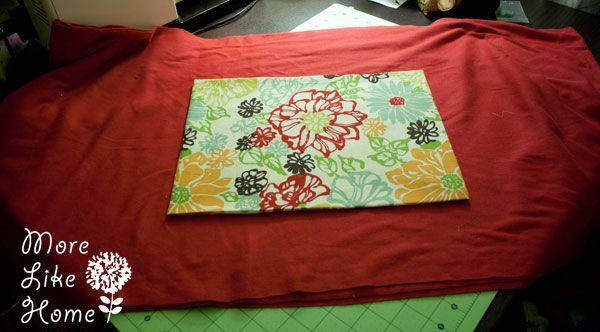 I cut a 21 x 21" square from my cotton fabric. Then I folded each side under 1/2" and pressed it. Then I folded my wrap in half to find the center and used pins to mark the center line. Then I folded my panel in half and lined up the center of the panel with the center line I marked on my wrap. Keeping the centers lined up, I laid the panel out right-side-up on top of the wrap and lined up the top and bottom edges (make sure the edges you pressed under stay under). So the panel should be flush with the top and bottom of the wrap and centered on it length-wise. Hopefully that made sense. It's late over here, guys. I pinned the panel in place and then stitched all the way around it as close to the edge as I could. 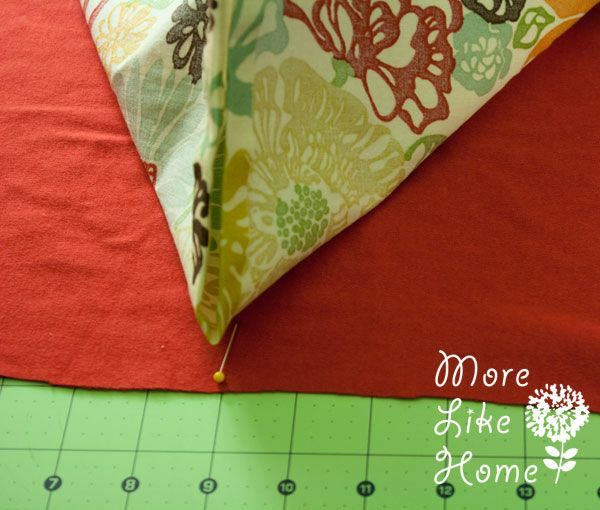 A pocket is also really easy to make. 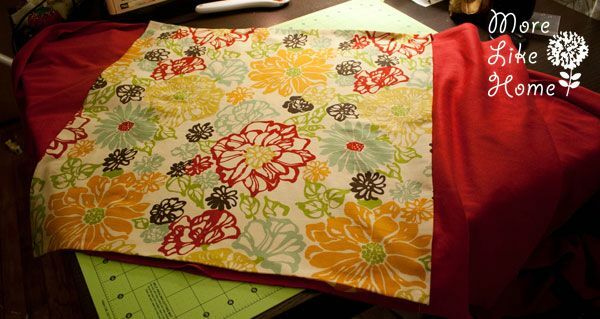 Cut a piece 13 x 11" from your cotton fabric. 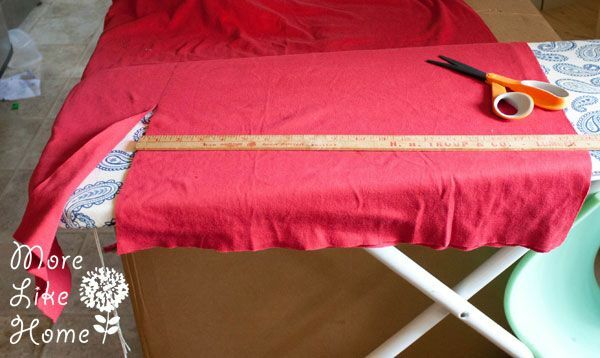 Start by pressing one long edge under 1/4" and then 1/4" again. Top stitch right along the folded edge. This will be the top of your pocket. 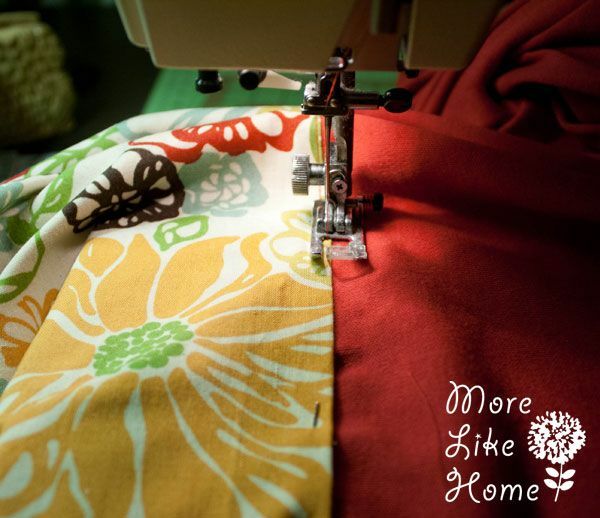 Next, either serge or zig-zag stitch around the sides and bottom of the pocket to keep them from fraying. Then press the sides and bottom under about 1/4". 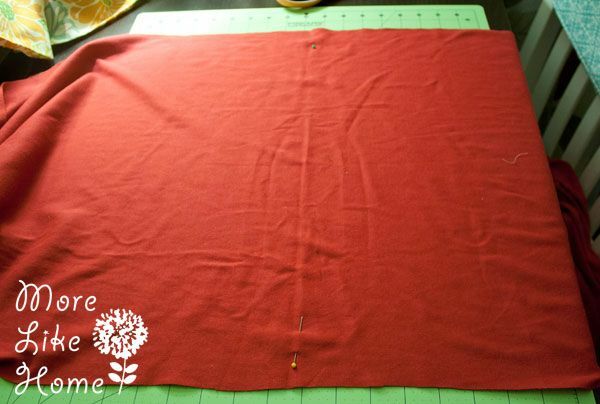 Center the pocket (right side up) on the wrap just like you did for a panel, but this time center it vertically as well (just measure above and below and make sure the spaces are the same size). 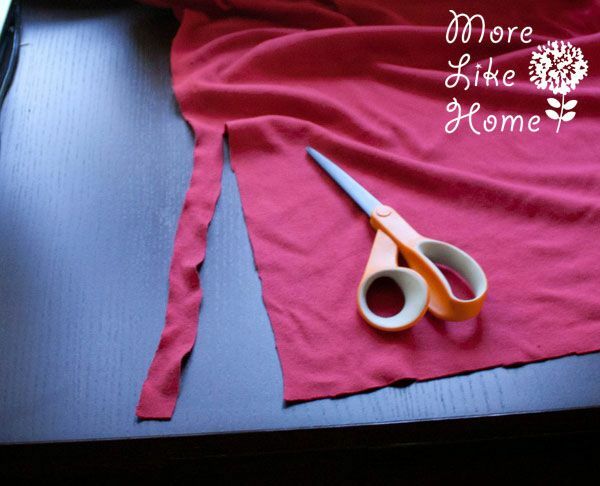 Pin it in place and stitch around the sides and bottom of the pocket to attach it. All done. 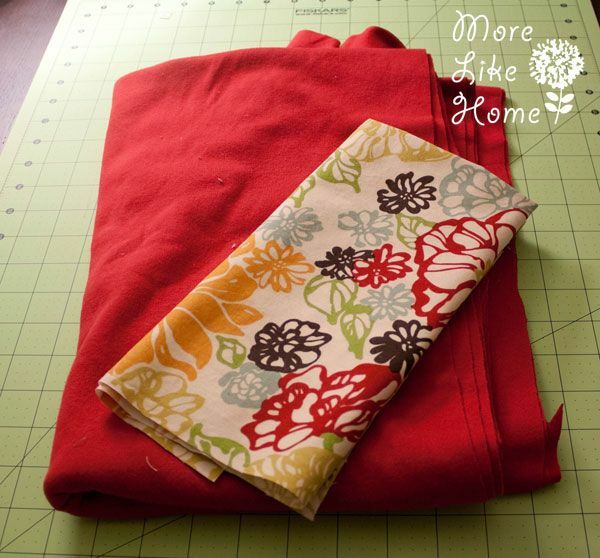 Above is a wrap with a pocket and below is a wrap with a full panel, just for a quick comparison. You know I like to give you as many options as possible... so here's one more. 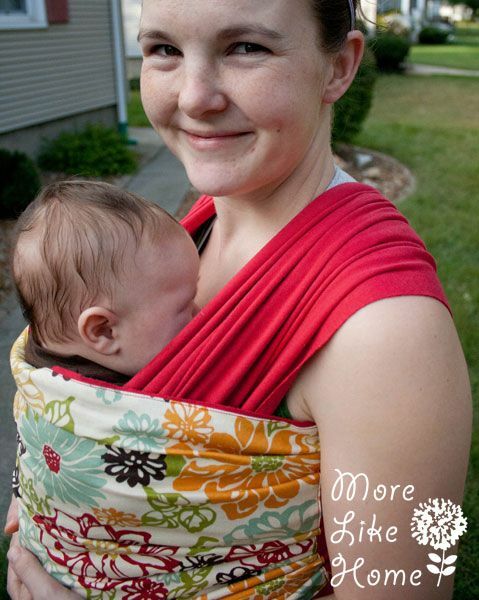 If you want to wear a bigger/heavier baby, a woven wrap (made from a sturdy woven fabric) is a great choice! 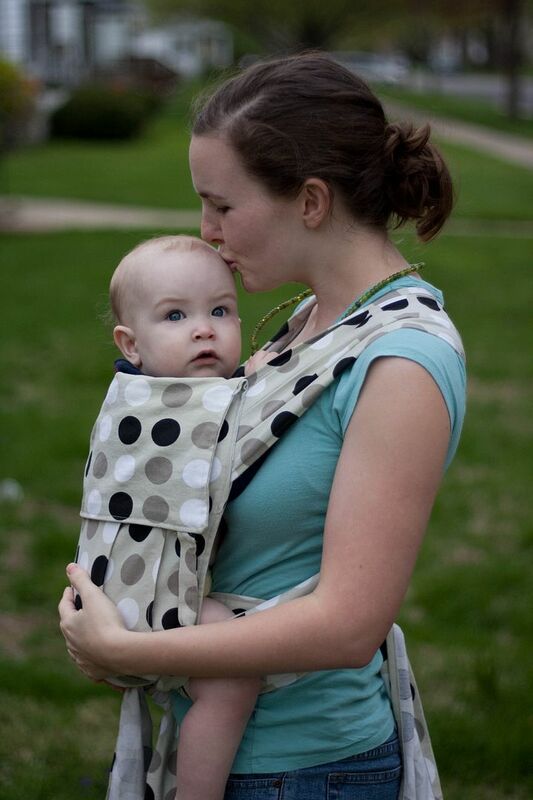 There are tons of wrap options with a woven and you can even do back carries with babies that are old enough to sit up unassisted. 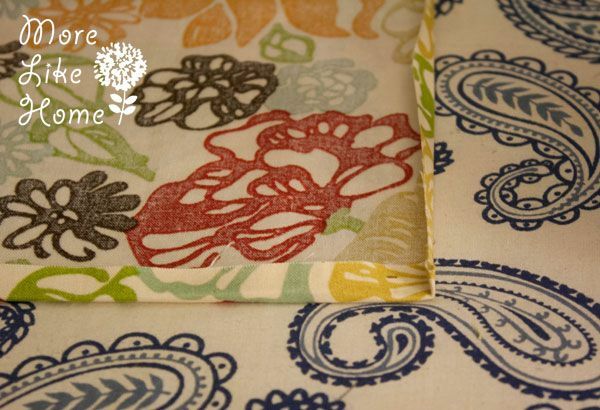 Just buy a woven fabric instead (cotton and linen are great choices, I have one of each) and serge or hem the edges. 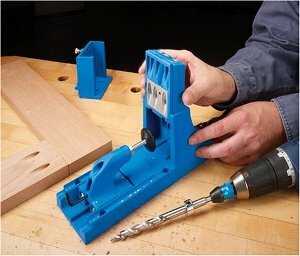 You can still add a pocket or panel too. Again, please do your own research before wrapping and make sure you are doing it safely! 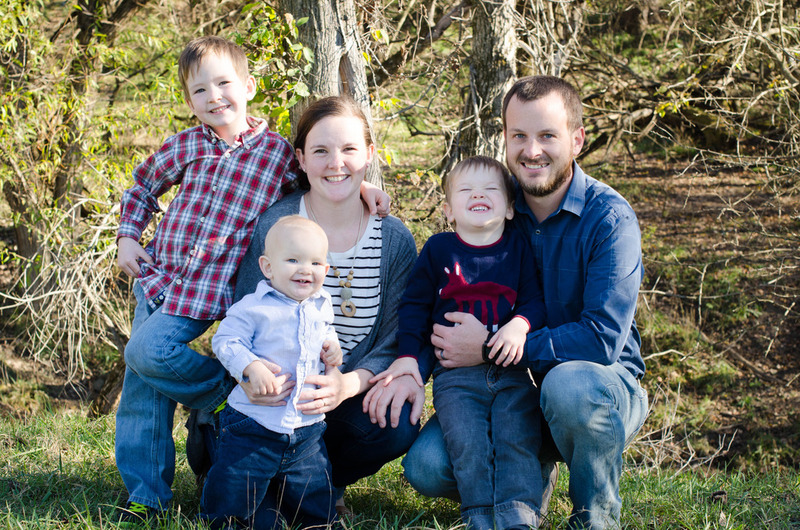 One of my favorite wrapping resources is this post by Where in the World is Erin. 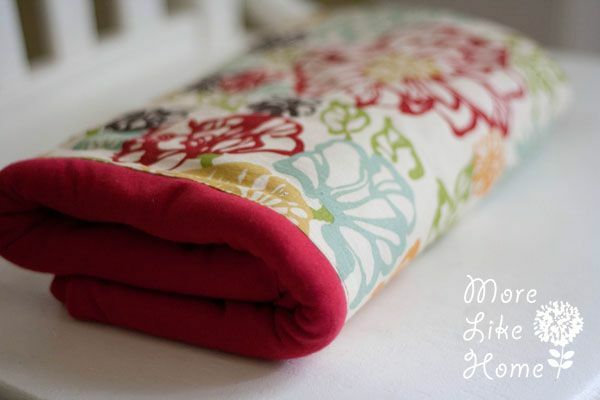 And since you get two wraps out of it that comes to just over $16 per wrap! This is a newborn sleeper with the elastic bottom. B wiggled it on upside down and yelled "Mama! Take picture you!" Oh, and he calls himself "you." Then he excitedly scooted over to see said picture. But he needed a better view. 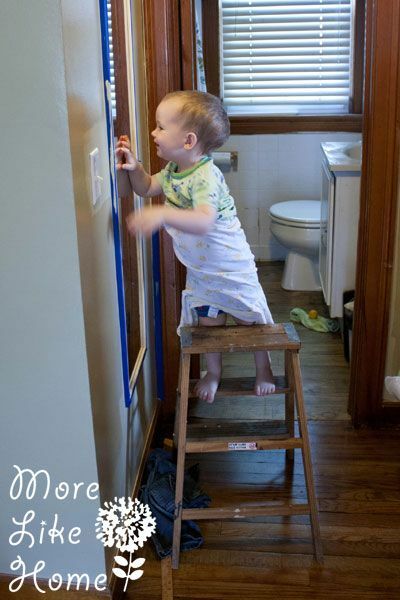 A ladder in front of the mirror should do the trick.